Home to a sophisticated 3 AA Rosette Restaurant, guests can experience fine dining in fantastic surroundings - we've included a 5-course nightly tasting menu! 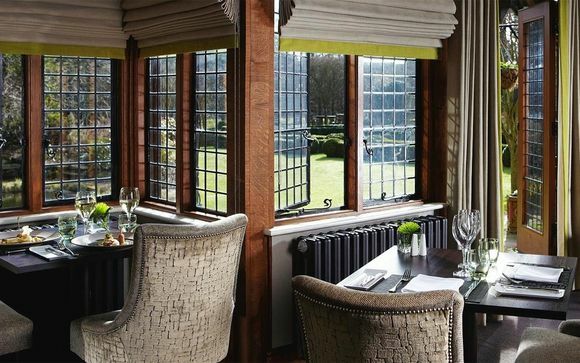 This 16th century Elizabethan Manor House is home to a luxury boutique hotel - Langshott Manor. This charming countryside haven retains its classic character, updated with chic, contemporary design. 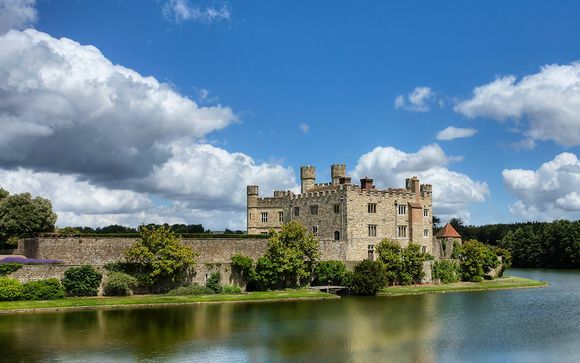 Surrounded by manicured gardens, you'd never guess you were less than an hour from London. Peaceful, romantic and indulgent, this is the place to come to recharge your batteries and soak up the glorious Surrey views. Each of the spacious rooms are individually designed and blend historic elegance with modern day indulgence. Diners have a choice of the sophisticated 3 AA Rosette Mulberry Restaurant, or for less formal dining there is a lighter lounge menu. Why not indulge in a traditional Afternoon Tea after a long country walk..? Or if the weather allows, a glass of champagne in the rose scented gardens. 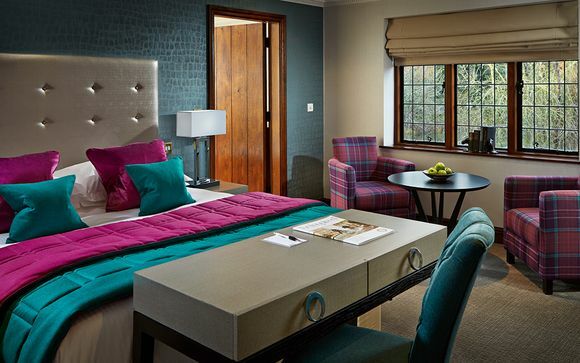 These luxury rooms are rich in colour and comfortably stylish. All rooms have deep sprung mattresses, the finest Egyptian cotton bed linen, deluxe duvets and a promise of a restful and refreshing night’s sleep. Many of the luxury rooms feature extra space and some have a private patio garden. This offer is based on a half board stay (daily breakfast and dinner). 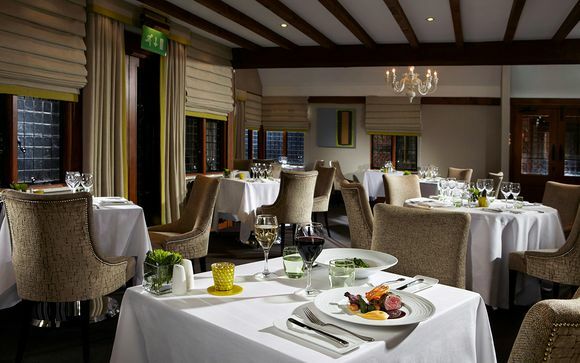 Two night stay, BB, 5 course tasting menu dinner at Mulberry Restaurant excluding drinks on 1st night, 2 course a-la-carte dinner at Mulberry Restauranton 2nd Night, both exclude drinks. 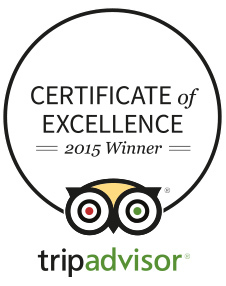 This newly awarded 3 AA Rosette Restaurant is elegant, fashionable and flooded in natural light. The head chef and his team present a series of fine dining and tasting menus that promise to seriously delight. Menus are based on wholesome ingredients and a genuine love of food - many of the herbs, fruits and vegetables used are grown in the Langshott Manor garden. In the warmer months, the acres of manicured grounds offer a wonderful setting for indulgent afternoon teas. In the Winter cosy up by a roaring fire- the hotel’s several small, stylish lounges offer peace and privacy, where you can indulge in a light bite, fine wine or digestif. From M25 Junction 7, take M23 and exit Junction 9 signposted Gatwick. At the North Terminal roundabout, take the third exit signposted to A23, then turn right at the Moat House Hotel roundabout, following signs for A23 (Brighton Road) to Horley and Redhill. Follow A23 until you see a Shell Garage situated in the middle of a roundabout. Go straight over the roundabout still on the A23. Directly on exiting the roundabout, turn right into a small slip road - Ladbroke Road - we are about a mile down this lane on the right hand side.